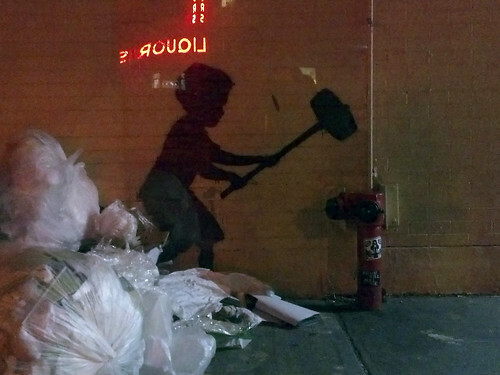 C Rock [GWNY164], a photo by jankor on Flickr. 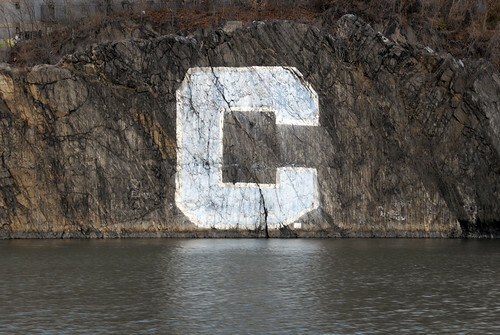 C Rock, "Opposite Side Manhattan" along the Harlem River at Spuyten Duyvil - varsity sign of Columbia University. GWNY162, a photo by jankor on Flickr. 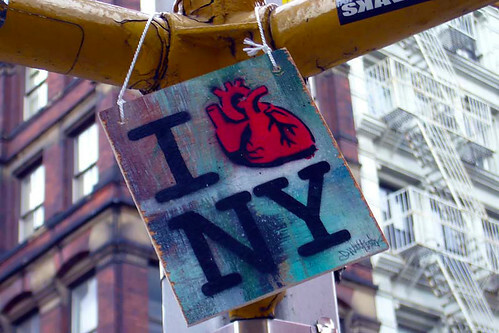 Guess Where in New York? The answer, if somebody guesses right, will be on my Flickr page. GWNY161, a photo by jankor on Flickr. 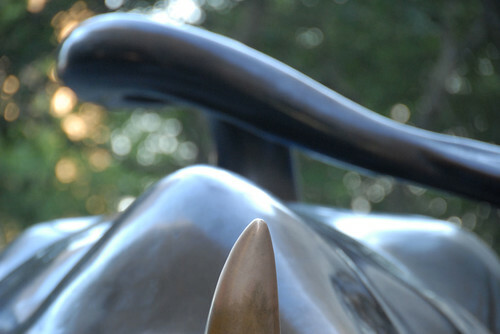 Guess Where in New York this is taken! After the correct guess I'll provide the right answer, a map location, tags and such over there on Flickr. 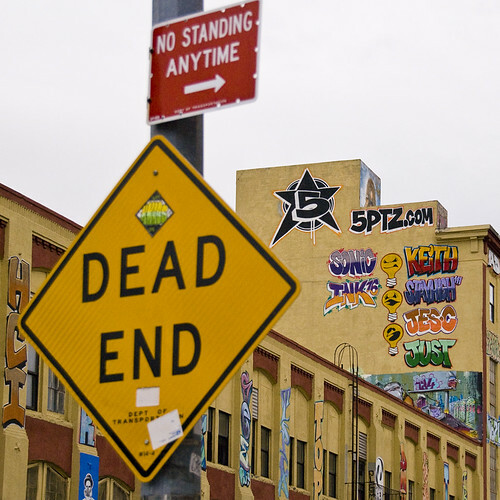 5Pointz at a dead end, a photo by jankor on Flickr. 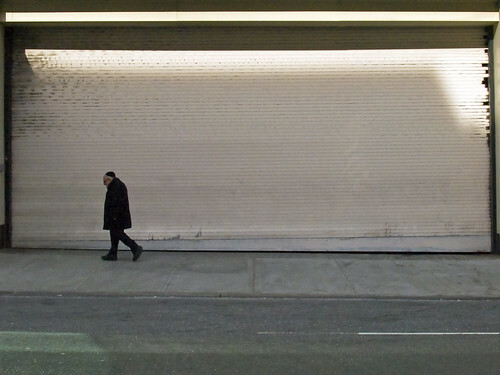 ILNY01, a photo by jankor on Flickr. 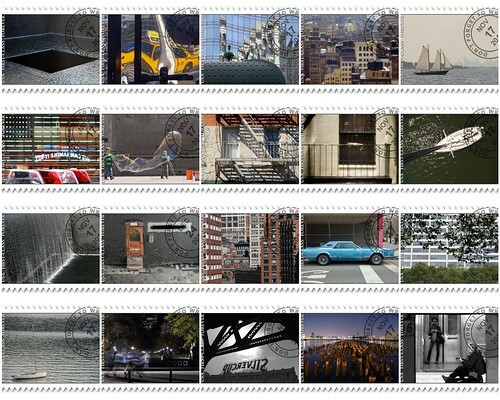 stamp mosaic, a photo by jankor on Flickr. 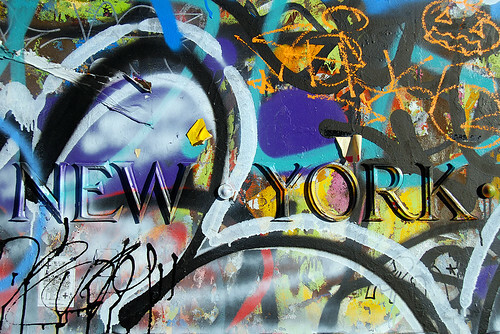 GWNY100, a photo by jankor on Flickr. Stretched & Flattened, a photo by jankor on Flickr. 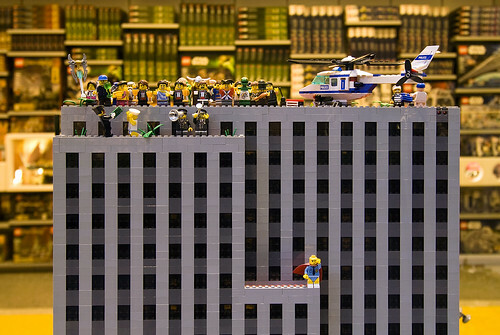 GWNY153, a photo by jankor on Flickr. 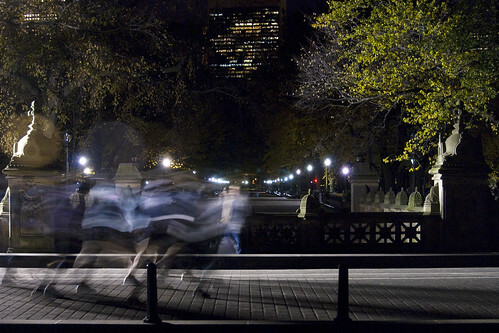 Night Joggers in Central Park, a photo by jankor on Flickr. 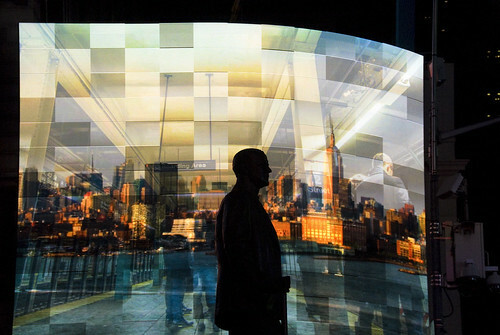 Reflecting Absence - Void, a photo by jankor on Flickr. 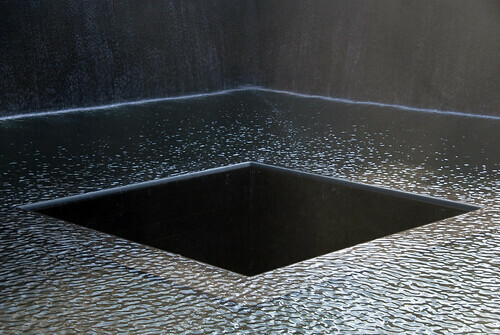 The pools reflect the footprint of the former World Trade Center towers. 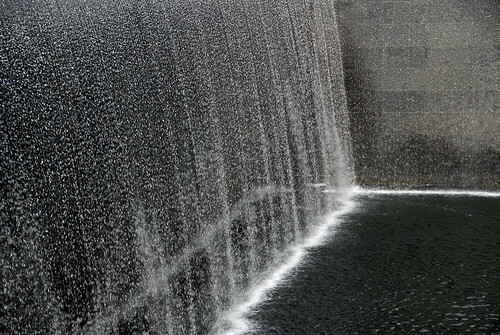 The water goes over the edge and causes an enormous white noise and sucking feeling. Optically, the water pulls the viewer down to the level where the water collects in the pool before it disappears into a huge, square shaped hole in the middle of the pool. The viewer can't see where this water goes, it simply disappears in a roar while sometimes spray above the pools collects the colors of the rainbow. 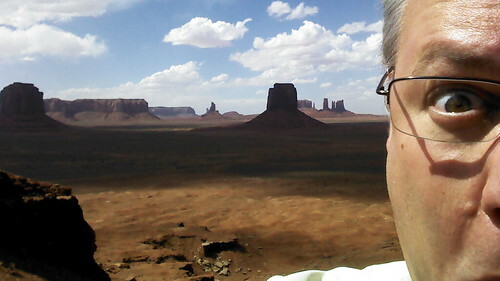 Hardly any memorial has ever touched me so intensely. Reflecting Absence - Fall, a photo by jankor on Flickr. 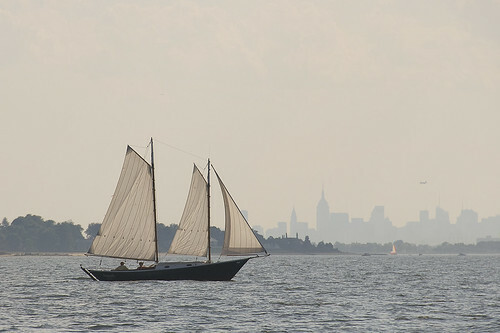 Manhattan Is an Island [Schooner on Long Island Sound], a photo by jankor on Flickr. The two masted, gaff rigged schooner "Dragonfly" reaches in light winds over the Long Island Sound near Hempstead Bay, while the humid high summer heat hangs over the Manhattan skyline. Bubble, a photo by jankor on Flickr. 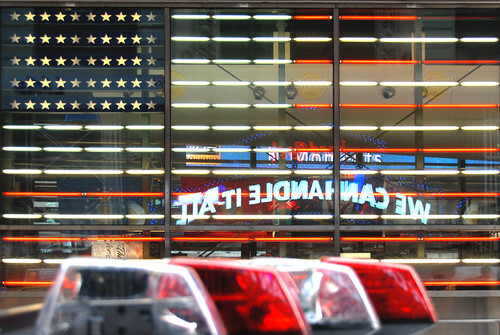 We Can Handle It All [GWNY160], a photo by jankor on Flickr. Like a dancer, a photo by jankor on Flickr. 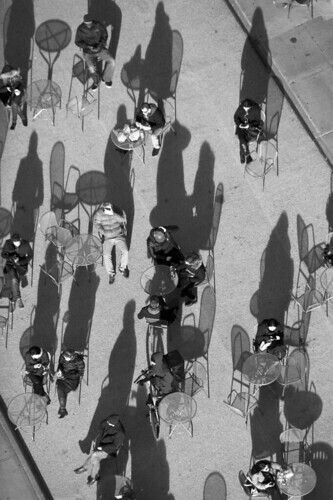 A young woman sits at the Revson Fountain at Lincoln Center in New York. The warm summer evening lets her sit right at the water, her bags make an impression as if she were a dancer with a tutu from nearby New York City Ballet. Pondering, a photo by jankor on Flickr. 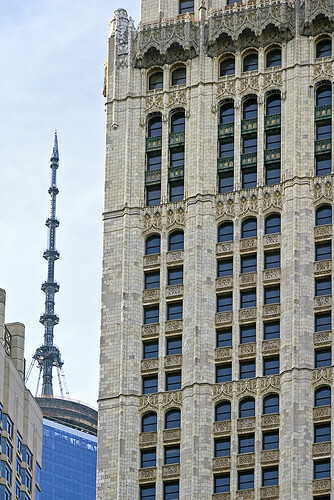 World Trade Center and Woolworth Building, a photo by jankor on Flickr. 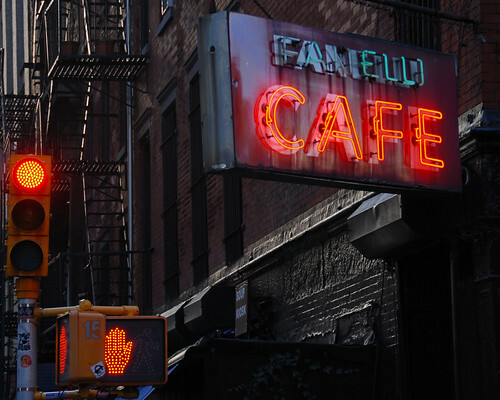 ... and one for the road - Fanelli Café, a photo by jankor on Flickr. 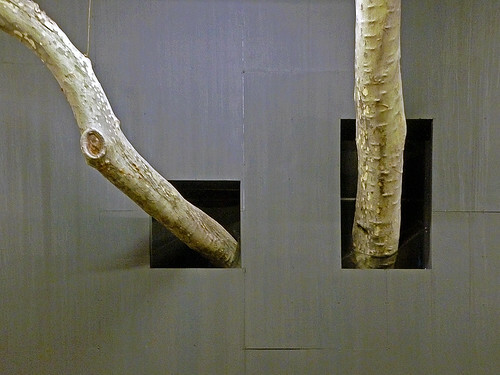 Temporary Overlay (nature + engineering = art), a photo by jankor on Flickr.